In partnership with Evolv, Friction Labs, and 3rd Rock. Placed between the Sierra Nevada and White Mountains, Bishop, California is the perfect combination of unparalleled climbing and world-renowned natural beauty. This winter, myself and a team of athletes, filmmakers, and photographers will venture to this glorious location with the goal of capturing the incredible way it connects us with nature. Here is a list of our team and what we have planned for the trip. This December, my team and I will be spending a week in Bishop, California filming and photographing our athletes as they tackle some of the most difficult climbs in the nation. We will be spending multiple days at each location capturing the climbs as they happen, as well as shooting content specifically with branding and marketing in mind. We have a growing list of partners for this trip and would love to have you be a part of our journey. We have about half of our time devoted to bouldering in the Buttermilks. The world renowned problem, Stained Glass, has attracted climbers for years. 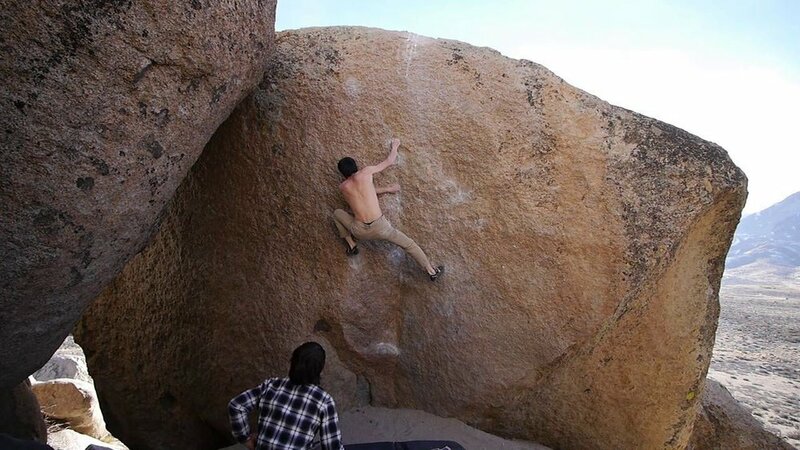 This V10 crimp monster will be our primary project as we document all that the Buttermilk Boulders have to offer. Following Anna Hazlett as she battles this climb, our team will be producing a film telling the story of her relationship with climbing and how she has been training to take down Stained Glass. We will be spending the remainder of our time in Bishop climbing projects in the Pollen Grains and Volcanic Table-Lands. These areas are full of absolutely gorgeous climbs. Some of the climbs that we plan on documenting are Jedi Mind Tricks (V4 high ball), Checkerboards (V8), and Pow Pow (V8). During this trip we will be spending a sizable amount of time talking with seasoned climbers and hearing what climbing means to them. For many climbers, the community that the sport creates is one of the most precious things they have. The climbing community is full of passionate people; we are ultimately here to tell their stories. Michael Sharp is a multi-published lifestyle and fashion photographer based out of Santa Barbara, CA. Having shot for over a decade, he has worked with individuals and brands of all kinds. Excelling at using natural light, as well as studio light, he recently has found himself enjoying the combination of the two, to create dramatic and powerful images. Anna Hazlett is an incredibly powerful climber as well as a top notch student at UCSB. Having started climbing just five years ago, she has already secured sponsorships from Evolv, Friction Labs, and 3rd Rock Climbing. Her greatest passion, apart from Biopsychology, is face and slab crimp climbing. This passion for crimps came alive two years ago when she visited Bishop. Since then she has completed each major crimp test piece in Bishop up to V9. Her end goal is to make climbing a more female-friendly sport, and to encourage young women to pursue their dreams. Malcolm as an established filmmaker based out of Los Angeles, California. He first started his filmmaking career at the age of 18 in New York, working as a key grip, gaffer, and director of photography. During that time he worked with companies companies like ID magazine, Warner Brothers, and Vans. He also is a powerful climber. Beginning when he was 14, he started by climbing local Santa Barbara spots like lizards mouth and brickyard. After taking a break from climbing to get his career started, he got back into climbing and has progressed to climbing V9 and V10s. The combination of his knowledge in the film world, as well as the in the climbing world, makes him invaluable for this project. 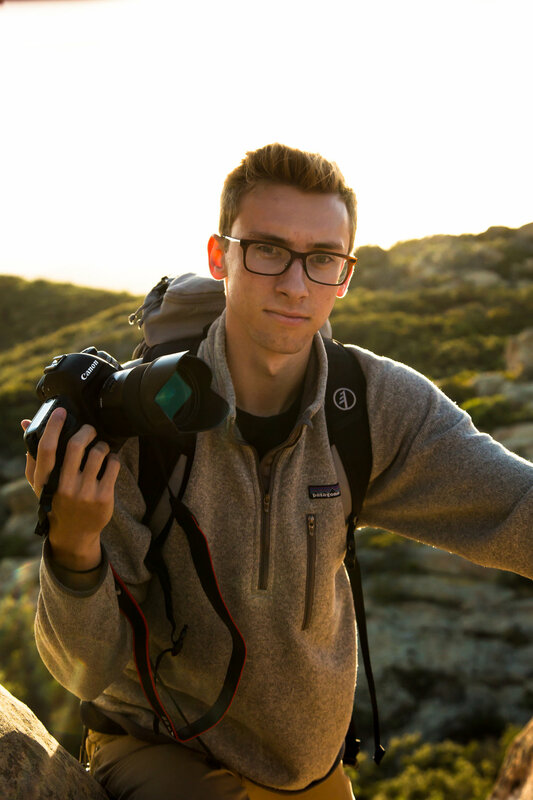 Currently studying kinesiology at the University of California San Diego, Dylan is a visual story teller specializing in blog-style documentation. His passion for storytelling started years ago, during his time of making small films with his childhood friends. He is no stranger to adventure and has played almost every sport in the book. He recently fell in love with climbing and is excelling rapidly. This collaborative project will only get better with more partners and sponsors. We would love to talk with you about how you can get involved and how together we can capture incredible content. Feel free to fill out the form below to connect with our team!